Are you a bride, or a bridesmaid? If so, you can win your bridal party 4 stylish and luxurious dresses that are sure to make you look and feel amazing on such an important day! 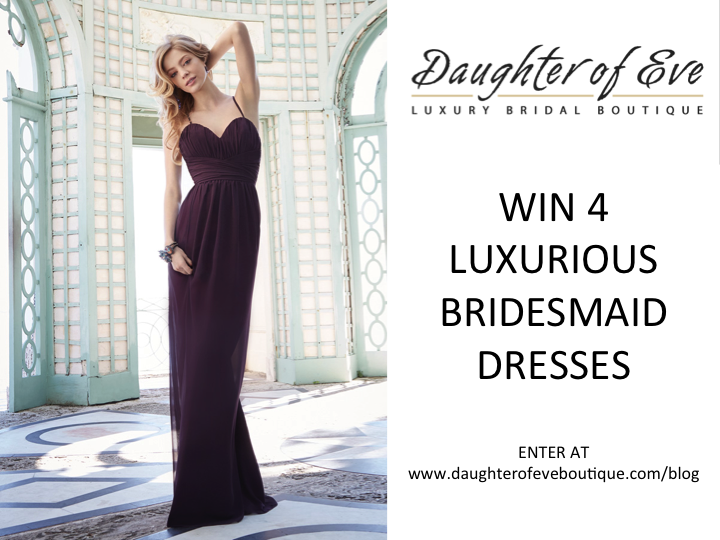 All you have to do to enter is email info@daughterofeveboutique.com or daughterofeve.th@gmail.com and tell us in a short message about your friend and why she is special to you (the Bride or a Bridesmaid). That’s it! We will draw the winner and publish the message online. Enter before 10th May 2015. The winner will be notified on the 12-May-2015 (Contact us for full T&Cs). Good luck!